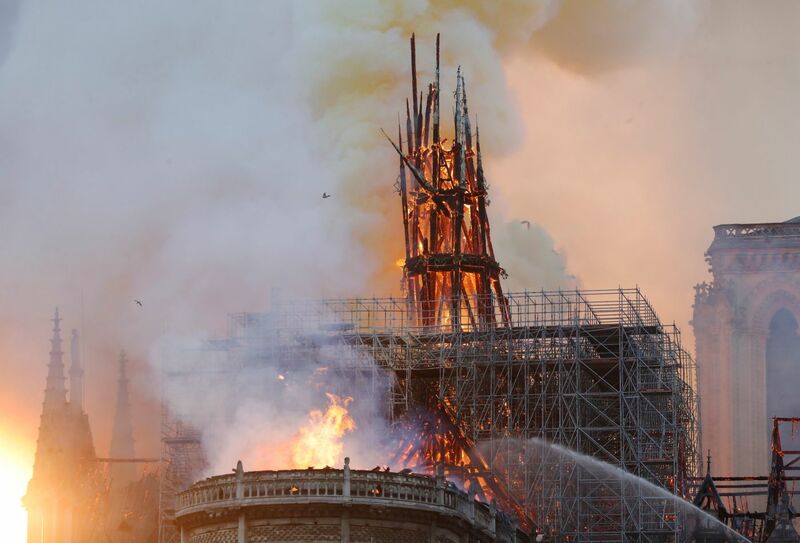 The famous Notre Dame Cathedral in Paris, France, is currently on fire, with the 750-ton spire partially collapsing. “A terrible fire is underway at Notre Dame of Paris Cathedral,” Mayor Anne Hidalgo wrote in a Twitter post. Construction on the French Gothic cathedral began in 1163, and it was completed nearly a century later. The current spire as we know it was a result of a 19th-century restoration. Officials are unsure of what started the fire, though there were thoughts that it may have been the result of ongoing renovations. As the spire collapsed, onlookers screamed and sirens could be heard in the distance. The fire occurs on the Monday of Holy Week, and a Catholic Mass was scheduled inside the cathedral for approximately the same time as the fire broke out. There are no injuries or deaths reported as of yet. Our thoughts and prayers are with the people of Paris, France, during this horrible and heartbreaking situation.